OXFORD, Miss. – The Department of Communication Sciences and Disorders at the University of Mississippi, under the leadership of a new chair, Vishakha Rawool, is poised to enhance its training of speech-language-pathologists by expanding clinical services to individuals with speech, language and/or hearing disorders and research activities in the field. The School of Applied Sciences welcomed Rawool as the new department chair for CSD on June 1, beginning her tenure at UM as the department explores spaces off-campus to expand its training, research and clinical operations. 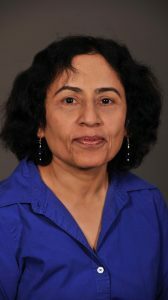 “With 45 years of experience in audiology and speech-language pathology, Rawool has extensive clinical experience in providing comprehensive diagnostic and rehabilitative audiological services and overseeing graduate students in clinical practicum,” said Teresa Carithers, interim dean of applied sciences. Chief among Rawool’s areas of research expertise are auditory processing, hearing disorders, prevention of hearing loss and age-related deficits in speech perception – all critical elements of the clinical services the department offers through its Speech and Hearing Center, HILL Program for children with receptive and expressive language disorder, early intervention services and literacy programming. Rawool comes to Ole Miss from West Virginia University, where she was a tenured professor, director of graduate study in audiology and director of the Audiology Research Laboratory. Before her work at West Virginia, Rawool served in tenured professor roles in communication sciences and disorders at Southwest Missouri State University and the Department of Audiology and Speech-Language Pathology at Bloomberg University. She is the author of two textbooks and several publications, serves on the international editorial review board for the Journal of Audiology and Otology and has served as a peer reviewer for more than a dozen journals, including the American Journal of Audiology, the Journal of the American Academy of Audiology, Audiology Research and Health Education Research. The department is looking for an off-campus location to increase the amount of space for its clinics and programs that help thousands of people throughout the region each year. More square feet designated for operations will provide more room for clinicians to offer vital community services and train graduate students. During the 2016-17 academic year, 122 students earned bachelor’s degrees and 31 earned their master’s. In the last year, associated clinics, under the directorship of clinical instructor Brad Crowe and clinical assistant professor Rebecca Lowe, provided speech-language-hearing screening services to 4,066 individuals, completed speech-language diagnostic evaluation for 23 clients, and provided speech-language therapeutic services to 101 clients and audiological services to 732 clients. Meanwhile, the HILL Program served 27 children, offering hands-on training to 18 undergraduate and 29 graduate students. All these services and programs are housed in 11,640 square feet of space in George Hall. Besides making a clinical impact in the community, faculty in the department published research across diverse areas of research. Davis Henderson is lead author of “Dynamic assessment of narratives among Navajo preschoolers,” soon to be published in the Journal of Speech, Language and Hearing Research. Toshikazu Ikuta was lead author of “White matter integrity in the fronto-striatal accumbofrontal tract predicts impulsivity,” published in Brain Imaging and Behavior earlier this year. This study is the first ever to isolate impulsivity pathways in the human brain. In 2017, Susan Loveall was lead author of “A cross-sectional analysis of executive function in Down syndrome from 2 to 35 years,” published in the Journal of Intellectual Disability Research, while Gregory Snyder was lead author of “The role of mirror neurons relative to the core stuttering pathology and compensatory stuttering behaviors,” published in Clinical Archives of Communication Disorders. The department capped off the academic year on a strong note as faculty garnered statewide and national honors in their field. At the national level, Carolyn Higdon, professor of communication sciences and disorders, was inducted into the National Academy of Practice in Speech-Language Pathology as a distinguished scholar and fellow. At the state level, Lisa Ivy, clinical instructor and speech-language pathologist, won the Mississippi Speech Language Hearing Association’s Clinical Achievement Award, and Lowe won the Honors of the Association awards for her years of dedication and service to MSHA. With a new department chair, prospective new facilities, growing clinics and faculty drawing statewide and national attention for their contributions to the discipline, the department and the populations it serves have a lot to look forward to in the year ahead. 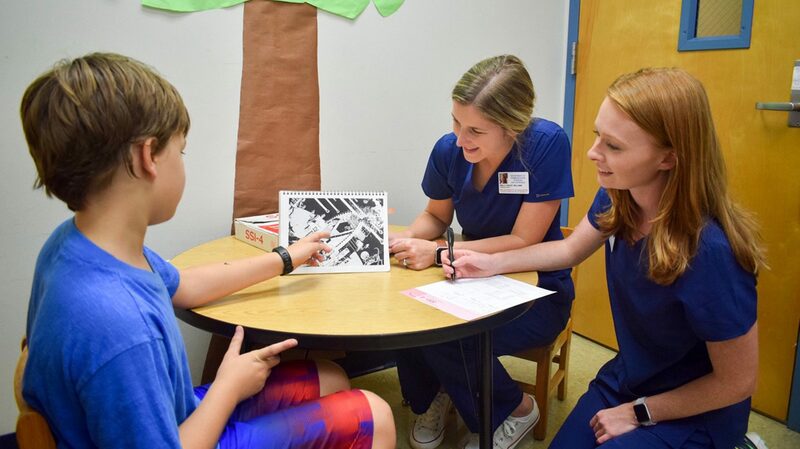 For more information about the UM Department of Communication Sciences and Disorders, visit http://csd.olemiss.edu/or call 662-915-7652.